Read the following interview with the three founding members of the Student Water Initiative – Will Modrall, Jed Kennedy, Elizabeth Carbone. This student group from the University of Louisville is competing in the upcoming Hack2O Water Hackathon, a design-build competition to create innovative water solutions for the developing world. The Student Water Initiative will be collaborating with a group from Costa Rica to develop a safe water solution that is relevant to a specific need in the Costa Rican community. Hack2O is November 8 at FirstBuild in Louisville, Kentucky. Are you a student, engineer, or other professional interested in making a difference through technology and engineering? Hack2O is the challenge for you. What is the Student Water Initiative? 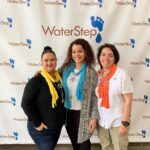 The Student Water Initiative (SWI) is a new group at the University of Louisville that is partnering with WaterStep to connect with communities abroad to develop community specific and sustainable solutions to safe water. Our group is unique in that our approach to development solutions are community specific, culturally relevant and business minded. 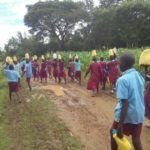 Why is Student Water Initiative important? And why now? There is no other group on campus that is specifically dedicated to water. Recently the opportunity to work with Dr. Thad Druffel, our faculty mentor, an engineer and former Peace Corps volunteer, WaterStep and FirstBuild became available. These three key components gives solid experience to draw upon, an avenue to connect with communities abroad and access to local engineers, which combined are resources that enable us to make progress towards our mission. How will the Student Water Initiative make a difference? 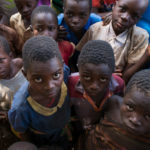 Often development groups with the best intentions fail to make a difference because the solutions they offer are not relevant to the community they intend to help or the community lacks the skills or resources, namely money, to maintain the new technology. We at the SWI intend to identify a community with a specific need and then address that need in a way that is relevant to the community’s culture and resources. In order for our project to be sustainable we will engage support at the local level, offer simple solutions, and incorporate a business component that will ensure financial sustainability, because after all water isn’t free. Who can join the Student Water Initiative? Any university student with an interest can join the initiative. SWI projects will have many facets including: social, cultural, business, and engineering aspects. Therefore, it is essential that we have a diverse group of students with a wide range of skills and perspectives working on our projects. What are the upcoming events for the SWI? 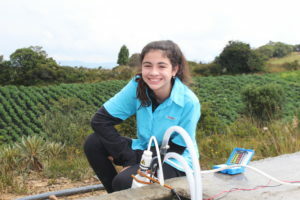 SWI’s pilot project will be in Costa Rica, where we will connect with student engineers in Costa Rica to develop both a safe water technology and a business plan to deliver to a Costa Rican community. Our next big event is the Hack20 competition where we will be competing as a student team. Our partners from Costa Rica will be joining us at the event remotely and as a group we will begin to develop the technology and business solutions for Costa Rica. Win or lose, we will continue to collaborate with our Costa Rican counterparts post-competition and aim to have a deliverable product to implement in Costa Rica, by the summer of 2015. Long term goals include engaging more communities abroad for project opportunities and also including energy solutions in our water related projects.